The eldest son of one of my lovely ladies had his 10th birthday last week, so the favourite party for boys at the moment is Laser Skirmish. 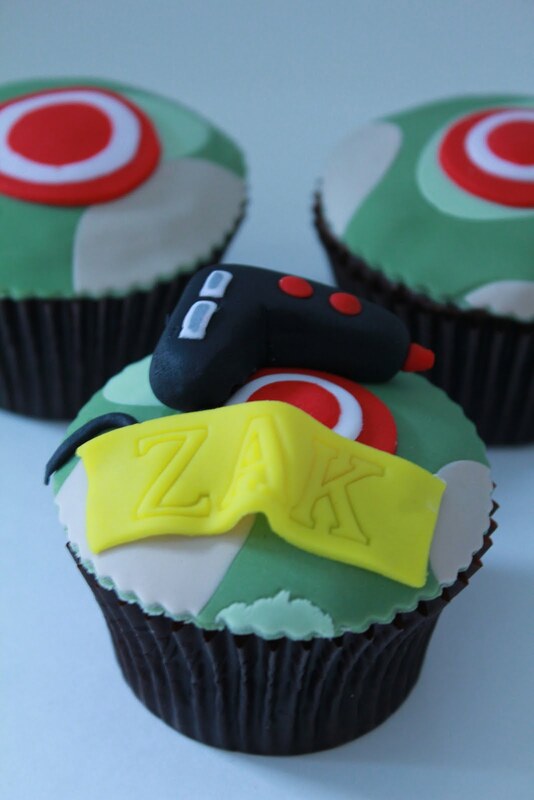 Zak and his buddies celebrated it skirmish style on Saturday morning so that had some skirmish cupcakes to end the occasion. Decided to make the look camouflage and have targets on them all. 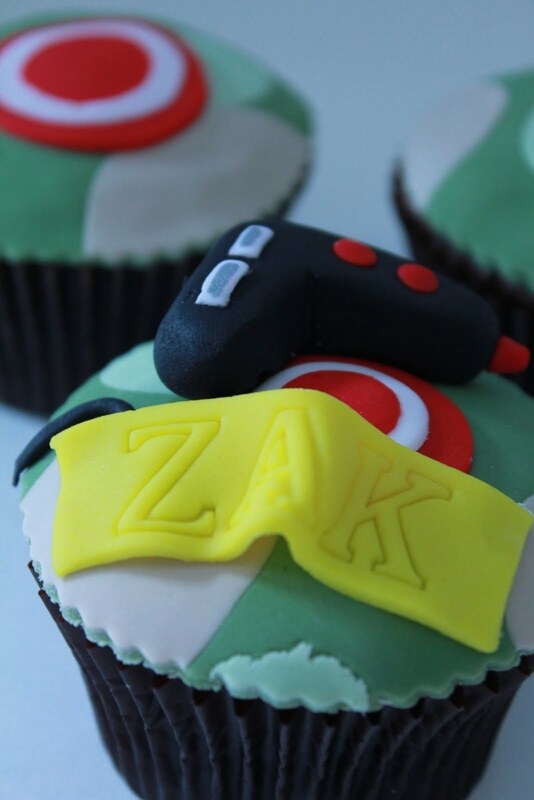 Zak's one had to be a little more special though so his was personalised and had his own skirmish tag gun. Cupcakes are chocolate sponge with chocolate ganache.